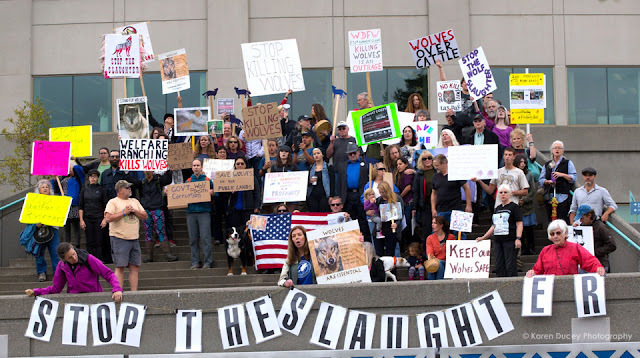 Please click on link to view this great coverage of protest held September 1, 2016 at offices of the Washington State Department of Fish and Wildlife - or WDFW. It was organized by Brooks Fahy from Predator Defense. If you agree, let your representatives know. And encourage like-minded people to run for office wherever you are in USA and beyond.